Electronics and communication companies rule this week's chart of the most digitally engaging commercials, powered by the TV ad attention analytics company iSpot.tv. 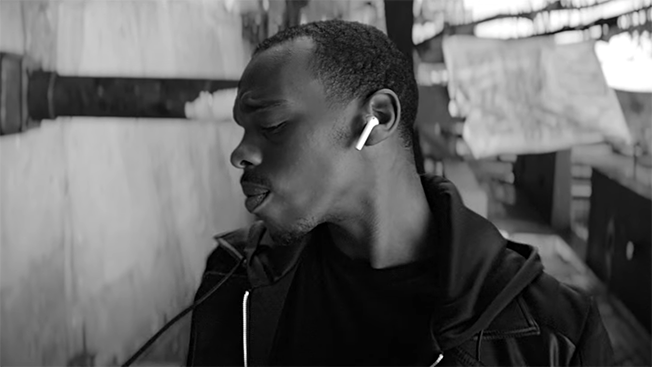 Apple claims the top two spots, with its first-place commercial for the iPhone 7 + AirPods capturing two-fifths (42.63%) of the digital engagement for the week. The artsy black-and-white ad features Lil Buck dancing up, down and all around town to music by Marian Hill. The No. 2 ad, also for the iPhone 7, features "Take Mine" by Bezos' Hawaiian Orchestra. As the Super Bowl approaches, football is on the brain and recent commercials echo this, with three of the top spots including references to the sport. At No. 5, Microsoft shows how the California School for the Deaf uses the Surface to prepare for its football games. Madden NFL takes seventh place with its karaoke spot featuring Antonio Brown, which has been in the chart for a few weeks. And Verizon's ninth place ad is all about achieving football/life balance with the NFL Mobile app that lets customers watch live local and prime-time games in HD without using their data. Attention analytics company iSpot.tv tracks TV ads in real time across more than 10 million smart TVs, and measures digital response to TV ads across Facebook, Twitter, YouTube, Google, Bing and Yahoo! Click here for more on iSpot.tv's methodology.